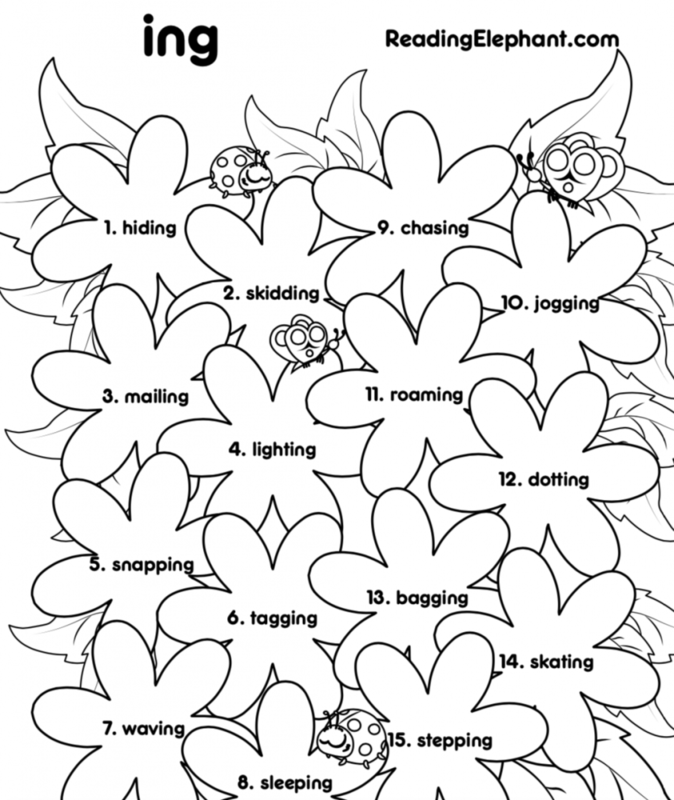 Also, see ing spring flowers worksheet for another FREE printable. Here’s the rule: if there are 2 consonants in the middle, the first vowel is short (ex. mapping, hopping, tipping). If there is 1 consonant in the middle, the first vowel is long (ex. taping, hoping, spiking). If there’s a vowel team like ai/_ay, ee/ea, oa, igh…etc. the student says the vowel team (ex. mailing, paying, speaking, floating, lighting…etc.). 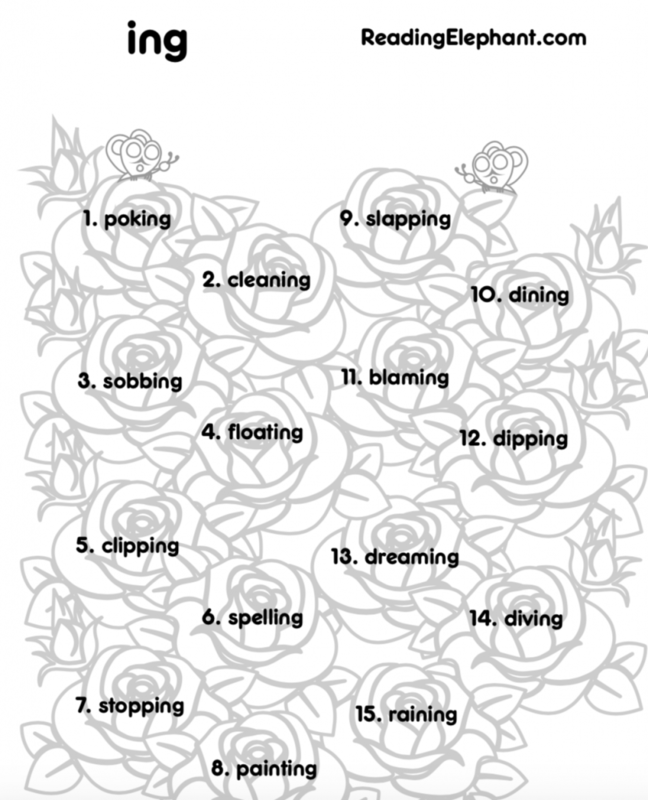 Learn more about how to teach 2-syllable ing words. Teach your student to read using explicit, systematic phonics instruction. 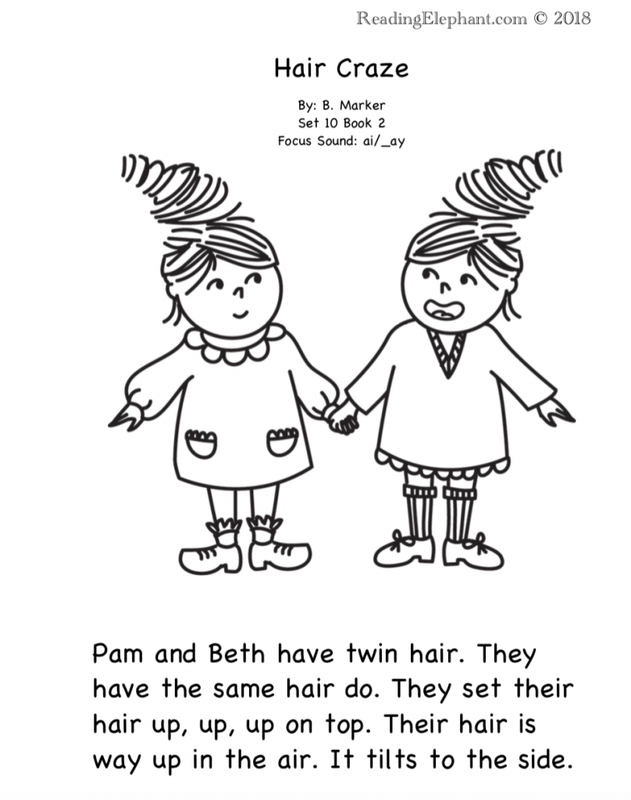 Our phonics books are a great resource to add to your library. They are carefully written to teach phonics sounds one at a time. Check out our free samples in our shop.